I’ve got to be honest, despite being a keen fan of most things racing, the wildly popular sport of NASCAR has never been something I’ve paid too much attention too. The reason for this is quite simple, I like a bit of complication to things, I like to see skill and most of all I like to see variation, and racing around an oval with nothing but a left turn to look forward to isn’t exactly my idea of a varied or interesting racing experience. 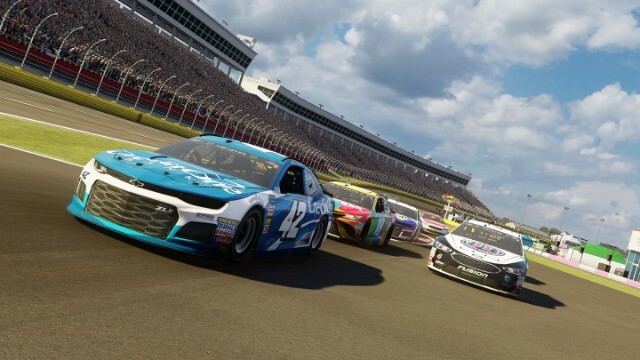 That said, racing is racing, and NASCAR racing has long had a huge fanbase across the United States and the rest of the world, so I decided to get behind the wheel of some performance stock cars to test the latest NASCAR title to come to Xbox One. 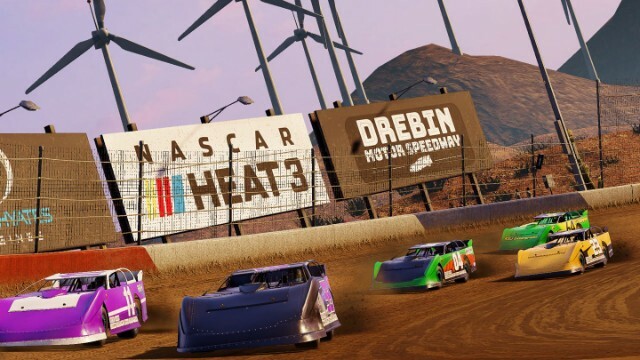 There are multiple ways to get stuck into the latest rendition of the NASCAR Heat series and from the main menu players have the option to jump in to any of the multiple game modes; Quick Race, Split Screen, Championship, Challenges, Career and E-Sports. Career mode is always where I want to focus my interests and after last year’s disappointment in the Career department, it’s fair to say the team over at Monster Games have certainly raised the bar this time around. After completing the initial first season in which you’ll be doing nothing more than one-off events for whichever team feels inclined to give you a shot behind the wheel, you’ll eventually get the chance to either pick a team to join and go forward through multiple seasons of championship racing, or you can choose to create you own team from scratch, managing everything from finances, paint schemes, which sponsors to take on and the hiring and firing of mechanics and engineers. No matter which option you choose though, you’ll need to perform well, maintain both friendships and rivalries with other racers, and generally top the Championships if you hope to progress. This year these championships have expanded too, with The Xtreme Dirt Tour bringing a new dirt style championship, whilst the official XFINITY Series, Monster Energy Cup Series is found joining alongside the Camping World Truck Series that arrived last year. Throughout these championships, players race across different dirt and tarmac tracks – some of which bring extra excitement by including right turns too. Even though the overall idea is little more than partaking in painstaking endurance races, there is a distinct feel to each track that at least makes each venue feel different and unique – albeit eventually repetitive. Sadly though, besides the Eldora Speedway track, none of the other tracks available are officially licensed venues, which, given the fact that NASCAR itself is of course a highly licensed sport with numerous iconic venues that fans know and love, is surprising. 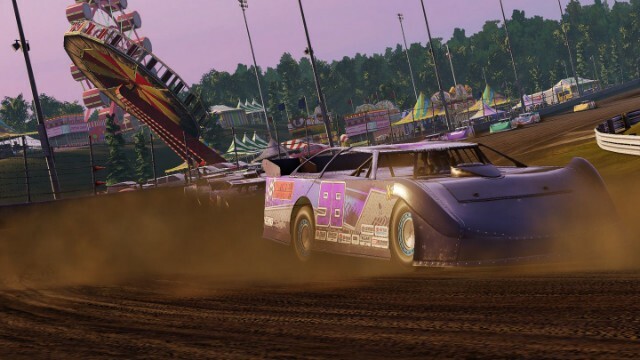 But the tracks available are still acceptable in their own right and provide believable and seemingly realistic NASCAR venues to race in – even if the textures and views in the background look a little dated once more. While the tracks aren’t quite the real thing though, the various cars you’ll race in are, following the official looks and likeness to each of the various vehicle types perfectly. From Stock Cars to Trucks each looks the part, driving just as you’d expect them to with the slightest change in airflow making a difference when it comes down to race day. Aside from that Career mode I previously mentioned and the other modes pretty much do what you would expect. Quick Race is rather self-explanatory, but the rather predictable Split Screen does manage to offer up a little more interest. This is because rather than just bringing the simple one-off races seen in Quick Race, Split Screen allows players to jump in with each other over the course of the championship series mentioned earlier, with each available to race in full. Championships meanwhile is pretty much the same but for solo players who are looking for the option to get involved in a full season of each championship from start to finish. It’s nice to see Challenges available as an interesting option for those wanting to shake things up and here you’ll find 38 unique challenges that bring multiple scenarios into play. These will see you doing such things as starting in the lead but having to contend with four bald tires, whilst others will drop you into the action with just a few laps left at the end of a highly contested affair, leaving you to grab a specific finishing position whilst the odds are stacked against you. It’s not all too original – mainly because we’ve seen these kind of things multiple times over the years – but it is a welcome mode and brings a decent variety to an otherwise repetitive racing experience. One thing that NASCAR Heat 3 is pushing is that of the eSports scene and given that this has been implemented into most popular racers these days, it’s not surprising to see it also available here. Whilst you won’t find a massive amount of players getting involved, despite there being the possibility for up to 40 players to rub and race online, serious fans of NASCAR will certainly want to get involved as weekly leaderboards and online championships are present, promoting the best performers for every player to see. What’s more is it handles nicely and the transition from single player to multiplayer is just as smooth as you’d expect in terms of racing and gameplay. Should you find yourself in a lobby with limited players – which is likely from time to time – the rest of the race will still fill with A.I. racers ensuring that full race day experience is maintained. As for the actual gameplay and the handling, the physics and the general feel of things has definitely improved over last year’s entry. In fact, the cars do now manage to respond more accurately to your actions than before – even if that does still see these NASCARs resemble a boat at times. 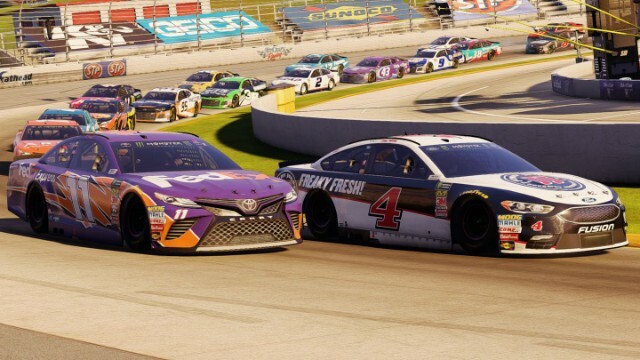 Visually though and things haven’t really improved at all, and when compared to the many other racers that have arrived this year – or even in the last few years – NASCAR Heat 3 doesn’t come up to the standard you’d expect. Overall though, if you’re a fan of NASCAR then there is no reason not to check out the latest entry in the series, but if you’re after a fully licensed experienced you may be a little disappointed. That said, it’s nice to see necessary improvements being made with NASCAR Heat 3 and with some engaging game modes on offer, there are several hours of enjoyment available for anyone who decides to jump in – whether you’re a fan of NASCAR or just a fan of racing. Previous articleJust Cause 4 arrives on Xbox One, PS4 and PC with explosions galore!